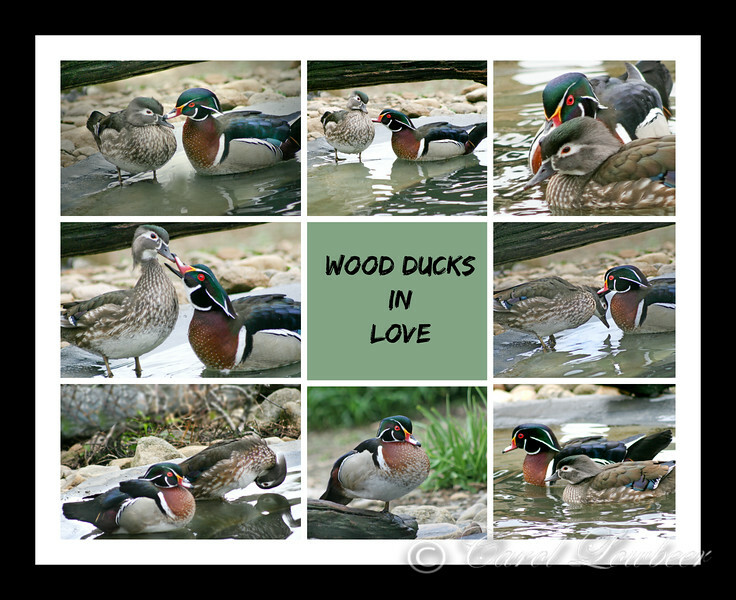 For a long time the wood duck pair sat next to each other, not moving. Finally, the drake gave the hen some good long looks followed by pressing his beak to her face several times. He then explored her feathers, pecking softly at her neck, her head, cheek, chest and everywhere else he could think of. After many hours of nibbling, the couple came to a decision & swam off together.